The semiconductor industry is moving toward gas-phase reagents, increasing the relative importance of gas purity. Anyone who deals in the manufacturing of these devices needs to understand the technology available for modern gas analysis. Most specialty gas vendors have some re in place for quality assurance, but these usually are very simplistic and outdated methods. 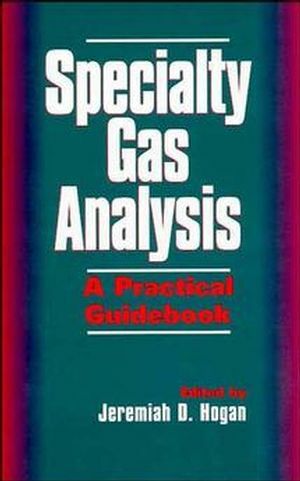 No book was available that gave guidance on providing accurate, reproducible data on specialty gas products. This is the first book that provides an introduction to current analytical methods and equipment for the analysis of high- purity gases used in the semiconductor industry and related fields. JEREMIAH D. HOGAN is Director of Physical Analysis Laboratories for Texas Instruments, Inc.
Future Directions in the Specialty Gas Field.